In the middle of October, Ohio State junior Nick Bosa, the Big Ten’s reigning defensive player of the year, told Buckeyes coach Urban Meyer he was leaving the program to heal an injured core muscle in preparation for the 2019 NFL Draft. Bosa, the brother of Joey Bosa of the Los Angeles Chargers, is expected to be one of the top five picks. Despite the loss of one of his best players, Meyer took the news as well as can be expected. A statement was released and kind, understanding words were offered. It ended well. But sometimes things don’t end well. 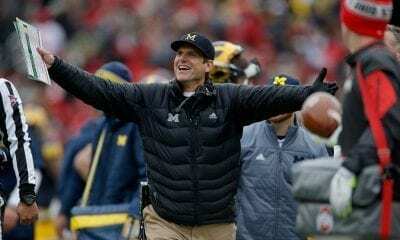 Sometimes underlying tensions between an injured star and head coach bubble to the surface. But it’s not every day you see it happen on television in an argument about a jacket. 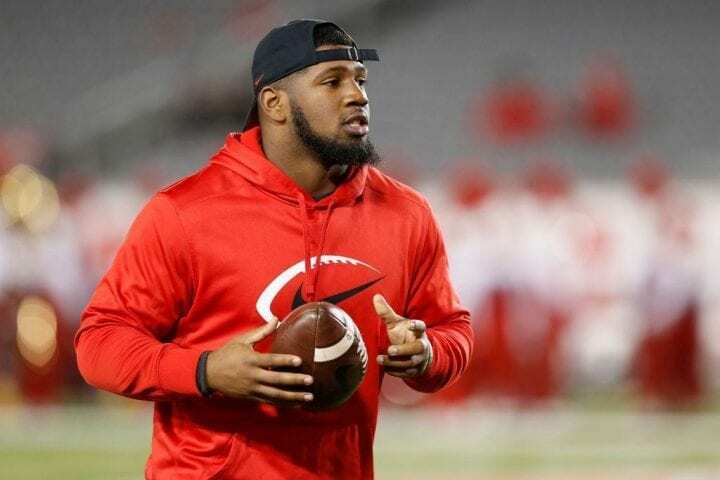 The University of Houston’s All-American junior defensive tackle Ed Oliver, the reigning Outland Trophy winner, will also be a top 10 pick in the NFL draft. He has dominated the American Athletic Conference since he was a freshman, but has announced he’s renouncing the final year of his eligibility to turn pro. Oliver, who has 13 ½ tackles for a loss this season, has missed the Cougars last four games after sustaining an injury to his right knee against Navy on Oct. 20. 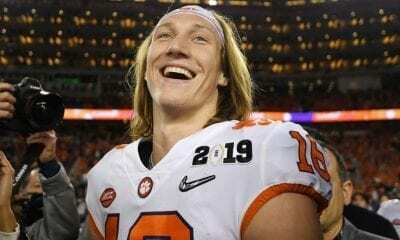 He planned a comeback two weeks ago against SMU, but decided not to play after experiencing soreness during pregame drills. You probably can guess where we are going with this. Houston coach Major Applewhite is trying to win the AAC’s West Division. The Cougars (5-2) and SMU (4-2) are battling it out. He knows Oliver can help him do it. And Applewhite knows, as Meyer likely knew about Bosa, that Oliver’s attention lately likely has been fixated on protecting himself from further injury that might hurt his draft status. What isn’t quite clear is how Applewhite and Oliver are interpreting each other’s point of view. Is Applewhite thinking Oliver is acting selfishly? Is Oliver thinking Applewhite doesn’t understand he wants to play but isn’t able? If you were Applewhite, might you think that indicated Oliver knows he’s not playing again? Oliver told ESPN that wasn’t his intention, that he just wanted everyone to know, if he can’t return, that he’s given his all. Anyway, Applewhite has this rule that when on the sidelines, whether playing or not, he’d prefer his players not wear a jacket, especially on a night as warm as Thursday was (55 degrees). That’s just the way it is. During the second quarter of Houston’s 48-17 win over Tulane, Applewhite approached Oliver, who was wearing one, and told him to take it off before actually making a move to remove it from his right shoulder. Oliver did not appreciate it. Just before halftime, he and Applewhite engaged in fiery exchange. At one point, a team official intervened trying to keep Oliver away from Applewhite who was walking away with his head down. Oliver did not return to the field for the second half. Applewhite emphasized after the game he was simply asking Oliver to do what he’d expect every other player on the team to do. “I asked other guys on the sideline to take it off,” said Applewhite. 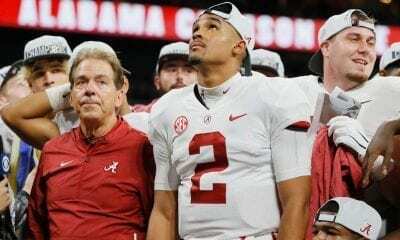 “I’m trying to be fair.’ Because when you don’t, you have somebody else wearing it, then guys are like, ‘Well, Coach, why does he get to wear it and I don’t.’ So I’m just trying to be fair to our players on the sideline and that’s all. Prior to Thursday’s game, Applewhite announced Oliver would not practice again until he felt he could play. After the game, despite what had happened, he said he’d welcome Oliver back for the regular season finale next week at Memphis. “I want him back, I want him a part of our football team,” said Applewhite said. “If he wants to play, I want him to play.